Published quarterly by the AMERICAN RHODODENDRON SOCIETY, P.O. Box 525, Niagara Falls, NY 14304-0525. Membership subscription to the American Rhododendron Society $35 a year. 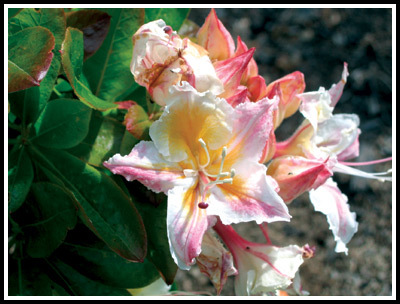 The Journal American Rhododendron Society is included as a benefit of membership. Copyright 2007 by the American Rhododendron Society. Permission to reprint any portion of this volume must be granted in writing by the Society. DONALD H. VOSS, MARK WIDRLECHNER, Ph.D.